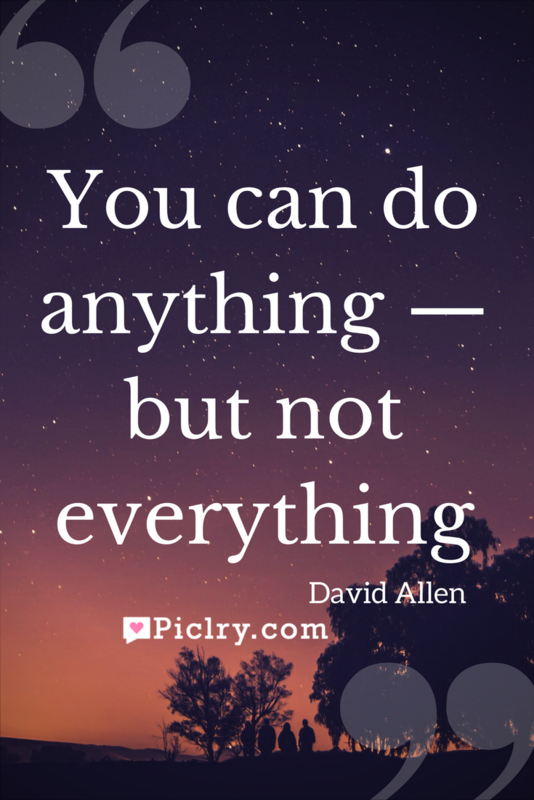 Meaning of You can do anything, but not everything Quote by David Allen. This quotation was given by David Allen, a reputed motivational speaker. With this saying, he pointed out the fact that there is so much we have to do and we want to do, but the constraint of time have our hands bounded. We can do anything that we want, but in so little a time, there is only so much we can do. With the limited time available in our hand, it is important that we prioritise our time. We must figure out what’s important for us. We are often so involved in our work and earning that we often keep what’s important to us for next time. What we often forget is that in whatever little time we have, there might not be next time. We take so many jobs at our hand but are often unable to finish all of them. Hence, we must do the important things first.